Ben Aquila's blog: The Aquila Ancient Market is finished! 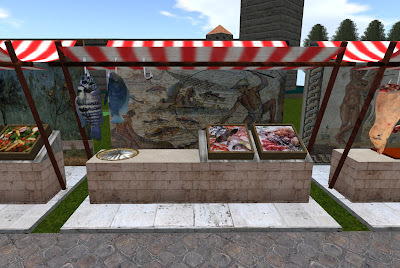 I've just finished building my last creation: The Aquila Ancient Market, for Second Life. A greengrocer stall, with several fruits and vegetables. A fish shop stall, with some fishes and seafood. A butchery stall, with different meats. 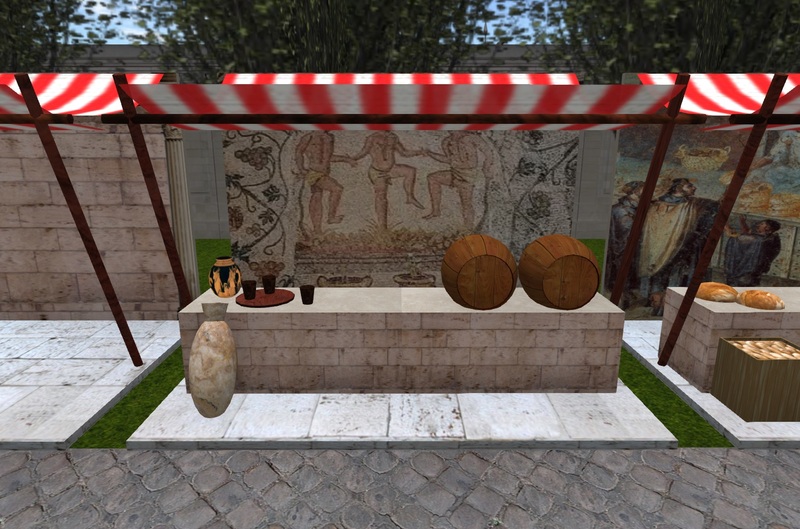 A wine shop stall, with amphora and barrels of good wines. A bakery stall, with several breads. An armory stall, wiht swords, spears, shields and one grinder. 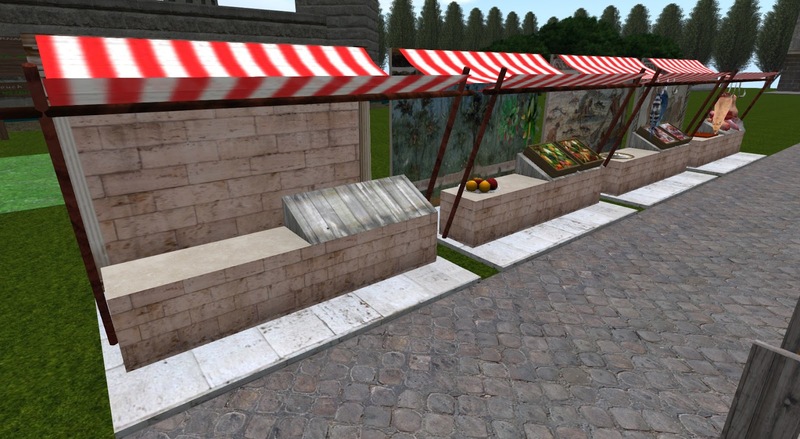 And a pair of empty stalls where you can sale other products. I've used ancient paintings to decor stalls, and realistic textures to make the different goods. 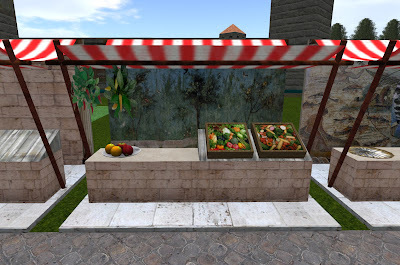 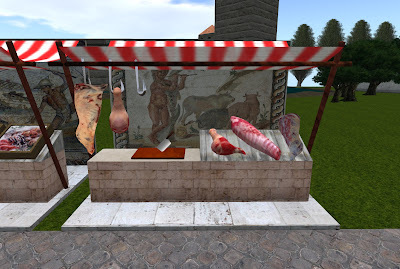 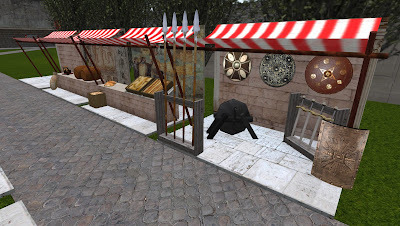 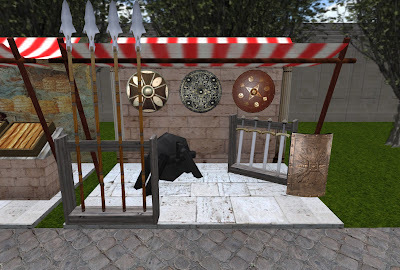 This ancient market is available in Second Life Marketplace Web, you can get all of them or each stall individually. 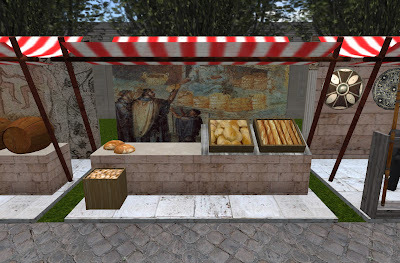 This looks amazing. 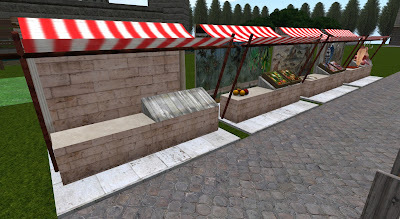 Good work Benja!